It would be nice to think that, when a relationship breaks down, things could still at least be amicable. Being friendly might be a step too far but, in an ideal world, we will all try to be reasonable. The problem, of course, is that reason is usually the first victim of a breakup. And what if it’s more than just a boyfriend/girlfriend situation? What is it’s an engagement which is in ruins? Chances are that you will be out of pocket on some things. If not at the wedding, then probably on other material items. It’s a fairly simple process to share out what is jointly owned, to be honest. One gets the TV, one gets the coffee maker etc. But this “one for you, one for me” approach is fine until you get to the engagement ring. Who owns the ring? What if only one of you paid for it? What if you bought it jointly? Is possession really nine-tenths of the law? It’s often said that if you ask two lawyers the same legal question which requires a binary yes/no answer, their reply will depend on who is paying the most. Thankfully, the question of who is the legal owner of an engagement ring is more straightforward. But not much more. Most states use the Conditional Gift approach. Under this legislation, the engagement ring is considered a gift, but has qualifying conditions. 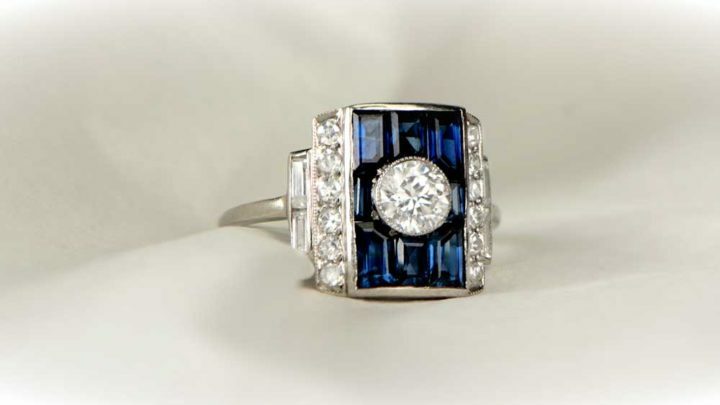 The courts consider that the gift of the ring only becomes irrevocable at the time of marriage. In other words, if an engagement ring is given, it remains the property of the giver until the couple actually participates in an official marriage ceremony. If the relationship ends before that point, the giver is entitled to take the engagement ring back. At no point will a court using the Conditional Gift rule look to identify fault for the breakdown. There’s no “he says/she says” in such circumstances. Instead, ownership is clear, with only marriage causing a change of that ownership. There are, though, a handful of states which add a Fault Consideration clause. In these instances, although ownership recognition is the same as above, fault is a factor. If, according to the court, the giver is at fault for the break-up, he cannot take the ring back. Despite the condition for a change of ownership not being still outstanding, blame for any breakdown in a relationship will ultimately determine the rightful owner of the engagement ring. At the moment, Montana is the only state to use Unconditional Gift legislation. This says that, once the engagement ring is in place on a finger, the recipient immediately becomes the rightful owner. Even if the recipient runs off to Paris with her dentist, leaving the giver of the ring high and dry, she still gets to keep the ring. You should also maybe realize that, if the engagement ring is given on a trip to a state which has different laws from your own, it all gets much murkier. There is little or no legislation which clearly states the outcome in such cases. You will, basically, be at the mercy of the presiding judge in whichever state you bring the case. 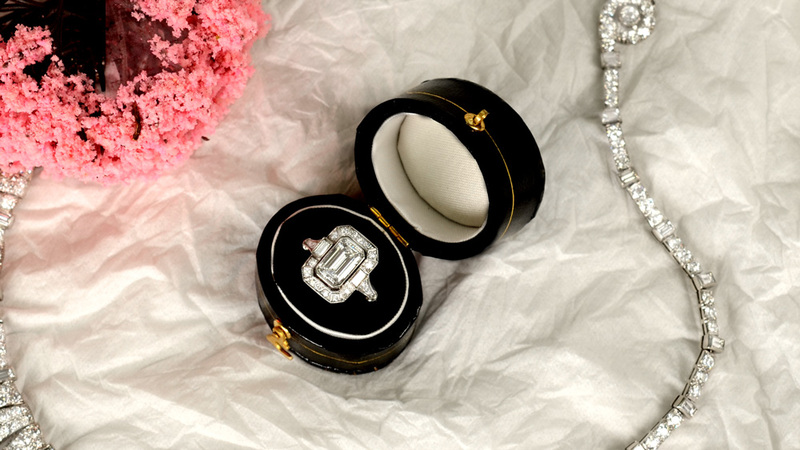 One final note is about how the law on engagement ring ownership works in the UK. There is just a single Unconditional Gift law. This is when the ring becomes the property of the recipient the moment it hits a finger. But (and it is quite a large but), if there was an explicit agreement that the ring would return to the giver in the event of a break-up, then they can simply take it back. This sounds nice and clear and straightforward, right? And of course it is, but have you ever heard of anybody going down on one knee to propose, and then insisting on a signature on a contract before he puts the ring on any finger? Unless the agreement is in writing, it is in the giver to prove the agreement exists. Good luck with that. We all hold a wonderful set of principles until one of them means doing something we don’t like. At that point, a great many of us will abandon one or more of those principles, regardless of how morally bankrupt, it will make us. I know you’re sitting there, furiously shaking your head at the accusation, but we all know you will. And so, morally, who owns an engagement ring if there’s no longer an actual engagement? That’s the real 64,000 dollar question. Surveys show that about 25% of men think that the woman should get to keep the ring, assuming no fault on either side. The same number also think they should get it back under the same circumstances. Almost 50%, though, think that they should get it back if their ex is to blame for the break-up. Perhaps surprisingly, or maybe not, almost 60% of women think they should get the ring no matter how things ended. A large number on both sides, also said they would want to keep the ring just out of spite. Amicability only counts until you have a stick to poke someone with, it seems. US jewelers reckon that they see an average of 1 person every other week, trying to sell an engagement ring. The survey also revealed that the majority were women. Men, it appears, are happy to keep the ring if they keep possession. We’re guessing they don’t explain the history of it to the next woman they propose to. So, it would seem that “moral” actually means “me” for a lot of people. It probably feels a little cheap asking for an engagement ring back, to be honest. But, if your partner has seriously wronged you, then go ahead. At that point, it’s unlikely you could make things worse than they already are. You should probably also volunteer to return the ring if you are the transgressor. Although legislation is in place to settle engagement ring ownership disputes, nobody ever really wins in a court case. It’s likely to make a difficult situation horrifically bitter. And for what? For a ring which probably neither of you really want anyway. It holds memories that will be unpleasant and even, perhaps, unkind. If it is at all possible, find a way to resolve it to the satisfaction of both. If that means selling it and splitting the money? Then do that. We do want to add a clause to all of this, though. 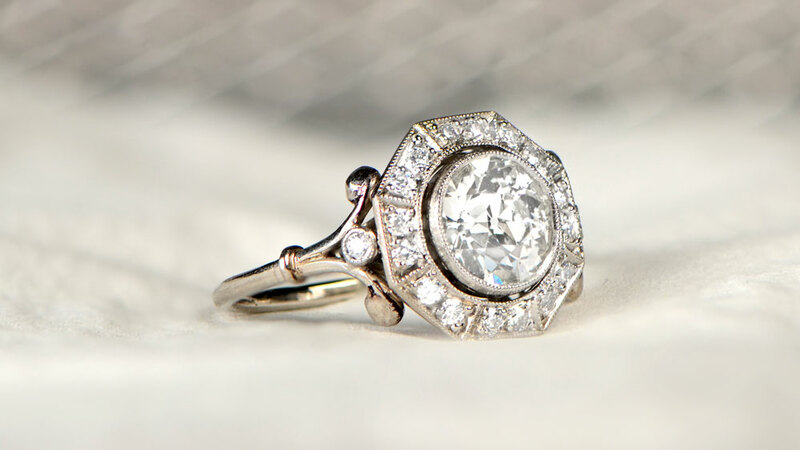 If the ring is a family heirloom, handed down through the generations, then the only right thing to do is give it back to the original family. Such things aren’t given lightly and should be treated with a little reverence.